Finding out why tags aren’t firing or why data aren’t being passed to Adobe Analytics or Google Analytics is one of the most frequent tasks we get asked to do by our clients. Digging in to the page code and working out where things have become disconnected can be slow, frustrating and awkward, especially to the new or inexperienced Digital Marketer. This post (and the follow ups) will go through some of the steps and techniques we use to identify, find and fix tagging problems. I use Chrome for 99% of my debugging. Other browsers are obviously available and all tag deployments should be tested in more than one browser before the push to production. But, I’m used to Chrome and so that’s what I am quickest in when doing the initial development and testing. Get jQuery Debugger from the chrome web store. 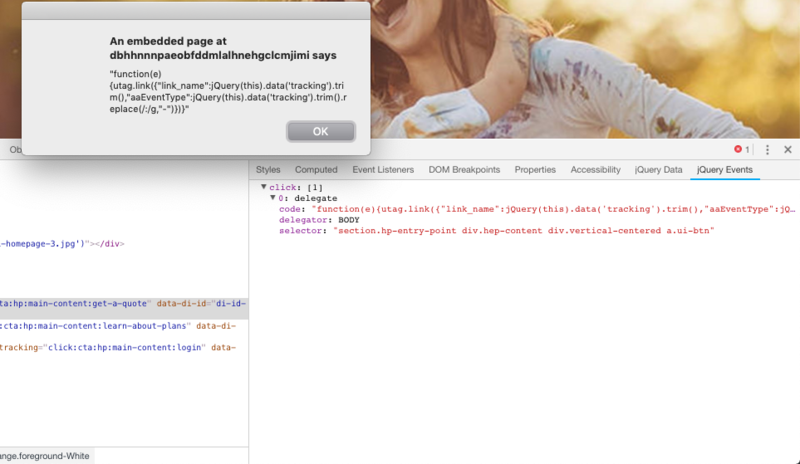 The most useful part of this extension is the “jQuery Events” tab that it adds to the Elements part of Dev Tools. This shows you what event handlers have been added to the element, what event they are on and what the code is. It is a bit annoying that the code is shown in an alert box and you can’t highlight/copy/paste the contents, but it’s still a very useful add in. Edit This Cookie gives visibility and editing capabilities over all the cookies that are created on the page. 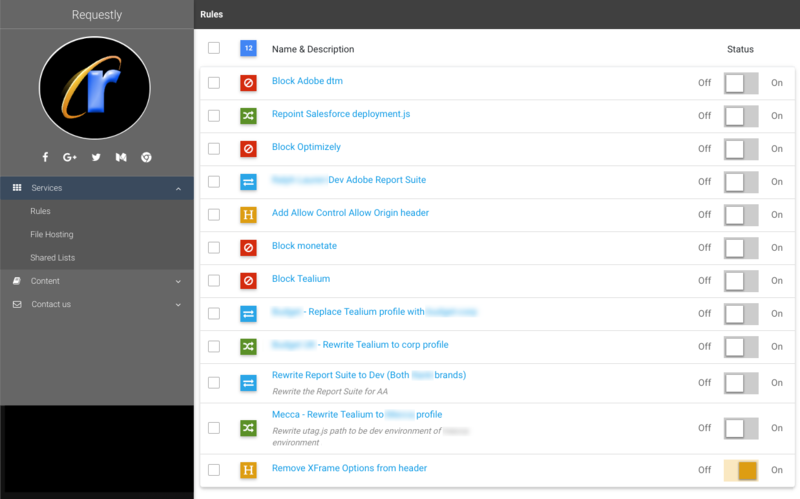 It has a useful drop down list from the extension icon as well as a new panel in Dev Tools. Get Debugger for Adobe Analytics from the chrome web store. This extension drops the Adobe call information into the console. There is another official debugger extension – the Adobe Experience Cloud Debugger – but I find outputting to the console is easier to deal with than loading a new window and capturing data in there. The one time I do use the Experience Cloud debugger is if I want all the calls for a whole journey, in which case the ability to capture all the calls without other comments/console output, and then to export to an Excel document is very useful. There’s a list of official Custom Tools here. I also use “Environment Switcher”, “Bulk Edit”, “Extension History” and “Omnichannel Status V2” frequently. Once you’ve got your browser configured, you need to make sure you know how to use it, so in part two I’ll cover some tips to make sure you’re getting the most out of the Dev Tools.